There is a saying that each of us will be famous for fifteen minutes. One of the things about history that fascinates me is the fact that locations can also have their time in the spot light. The countryside is littered with small villages, in some cases still thriving and in other cases abandoned or in ruins and in a few instances lost forever, which burst upon the world stage. They become significant for a brief time and then drift into obscurity. I visited such a place yesterday when researching The White Chariot, the 4th book in my historical fiction series, The Northern Crown. My day job as a doctor sees the hours and minutes filled with hectic appointments in which any free moments are often stuffed with meetings about some new change. Thus to me a day off of bliss can be had by just driving around, music playing on the car stereo whilst I stop at various villages, ruins or scratches on the landscape. I make notes, ponder my plot and try to think back fourteen centuries. Meifod is a tiny village in the Welsh county of Powys. Now a days it is a pretty enough place on a minor road running through the hills that surround the beautiful Vyrnwy some miles away. Yet it has an almost forgotten past as both one of the most important religious centres in Wales but also home for five hundred years to the Royal Court of Powys. At these times Powys was one of the most powerful of the Welsh kingdoms. It stretched way out over the Shropshire plains as far as modern day Birmingham and Wolverhampton. 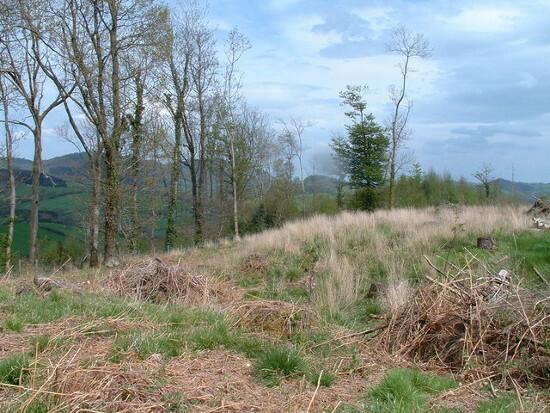 IN the 6th and 7th centuries Powys rules much of modern day Shropshire and Herefordshire. 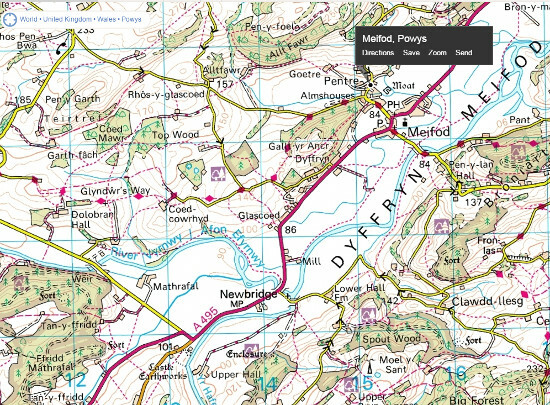 Meifod is located in the extreme north and eats of modern Powys. 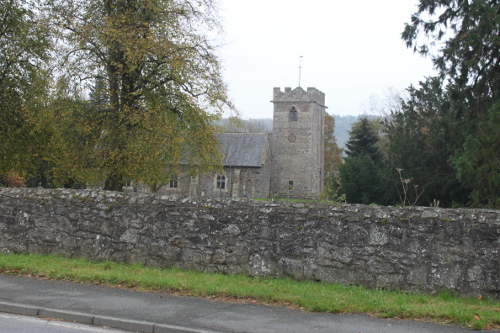 Meifod became a religious centre under a certain Gwyddvarch who built the first church there in the mid to late 6th century. However it became associated with Saint Tyslio after whom the modern church is now named. Prince Tyslio was the second son of Brochfael Ysgythrog King Of Powys. Against his father’s will he went to Abbot Gwyddfarch and begged to become a monk. A Powysian warband was sent to retrieve him, so Tysilio set up his base at a hermitage on Ynys Tysilio (Church Island) near Anglesey in the Menai Straits. After seven years he came back to Meifod and succeeded as Abbot. Tyslio rebuilt the Abbey Church. After the death of Tysilio’s brother, the Queen Gwenwynwyn,tried to marry Tysilio and place him on the throne of Powys in an attempt to hold on to power. The saint refused so he left and according to legends set up a new monastery in Brittany. The current church in Meifod is a medieval church and possibly the 4th built there but is located within a hundred yards or so of the site of the original 6th century church. There is one surviving artifact from the original church. This memorial tomb once marked the spot where a senior noble or prince was once buried and dates to within a century of Tysillo’s time. So you are looking at something that was made some thirteen centuries ago. The clash between Tysillo and the Queen were not the only association between the area and power. Only a mile or so away to the south west, next to the river is a site known today as “Mathrafal Castle” which there or nearby the court of Powys relocated around 656 at the time of the fall its capital, Pengwern, modern day Shrewsbury in Shropshire. 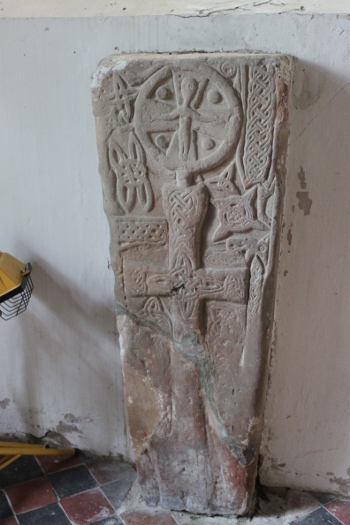 The areas became the focal point then for both political and religious power until Prince Gwenwynwyn ab Owain of Powys relocated his court to Welshpool (Y Trallwng) after Mathrafal it was destroyed during warfare with Gwynedd in 1212. Today all that is left is an earth mound and ditches. So then – an earth mound and a stone memorial are all that is left from Meifod’s fifteen minutes – more like five centuries of fame. 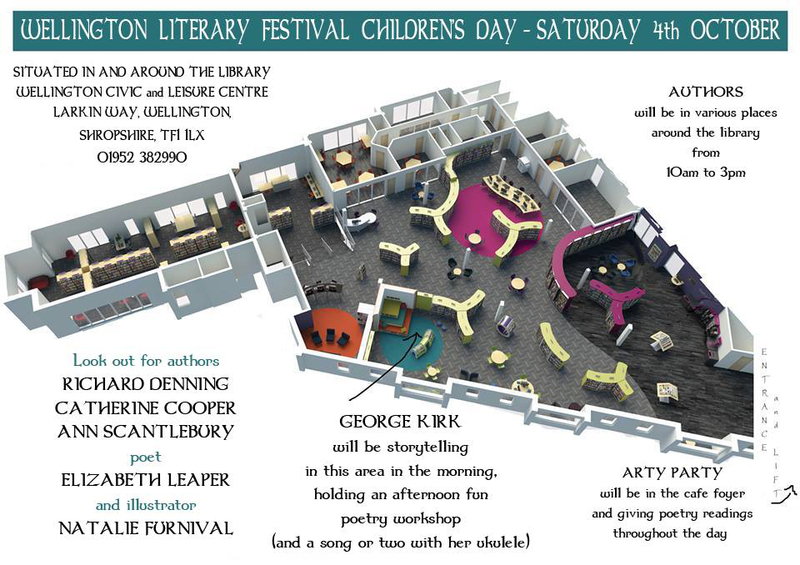 I am looking forward to attending the Wellington Literary Festival’s Children’s day at Wellington Library in Wellington, Shropshire next weekend. There will be several children’s authors along, an illustrator, a Poet and a story teller. I will be taking some of my Anglo-Saxon replica items and maybe some clothes for the children to try on as well as my books. I dreamed up the idea for the series in late 2011 and wrote the first novel Shield Maiden over the winter. It was published in Spring 2012. It received some good reviews and won a prize in the USA. In 2013 I started writing a sequel. The Bifrost – the passageway between the Nine Worlds – is open and now Anna’s village is under attack by creatures and horrors the villagers are not prepared to deal with. So now Anna and her companions must travel to Vanaheim, home to the Vanir: gods of wisdom and magic. There the young sorcerer, Wilburh, hopes to obtain a way to protect their village. It is not as easy as all that for Wilburh’s magic is failing him and they find that the gods themselves are prisoners. To free them the children must enter the deadly Catacombs. In there they will need all their courage and skills just to survive. Expanding the Outline. From that paragraph I now expand the plot in stages, writing a 3 or 4 paragraph summary in which each paragraph is an ‘act’ in the Novel usually ending in some disaster or problem that only worsens their predicament. From that outline I try and pull out a sentence that will become each chapter and finally we have a plot chapter by chapter. Its all about Characters. Books need characters. They should not just be about plot. Its not just about what happens but to whom stuff happens. In particular we need to get a idea and write notes on how characters change especially the main character. Each book should ideally involve a character altering or changing in some way. Characters need aims and motives – what do they want and why. They should have some weakness ideally or at least an obstacle preventing them getting what they want. Writing the book. Finally after some months of plotting I begin writing the book. Now I work full time, run a large hobby convention annually and have 2 kids. So getting words on the page can be hard at times. There is no clever solution beyond this simple advice: Each day sit down and write a paragraph. Just a paragraph. If you cant manage more than that just do that. Often a paragraph becomes two or three, a page or a chapter but even if it does not you have 30 more words on your page. Drafts. Hemingway had a point. The first draft will be rubbish. To me though the hardest thing is getting 30,000 to 50,000 words down. Once you have done that, once you have a book of sorts then the next phase is what creates the novel from that mass of words. The first draft is for me alone. No one else sees that. I now spend a good few weeks redrafting it twice through. In this process I am looking for the overall continuity. I am looking for major holes and story threads that go no where that need tidying up. I am checking if a characters story is developed. I then pass the draft to my first readers – family members. What I want from them is not editing (although if they spot spelling and grammar errors I welcome that) – what I want is an opinion on does the story make sense? Does it go anywhere? Again are there holes and problems? I then redraft again and again. By now we are around 9 months into the writing of Catacombs. Sharpen your pencil Gill. At this stage – or actually even earlier when I had an early draft, I asked Gill Pearce of Helion’s Art to start coming up with the images. 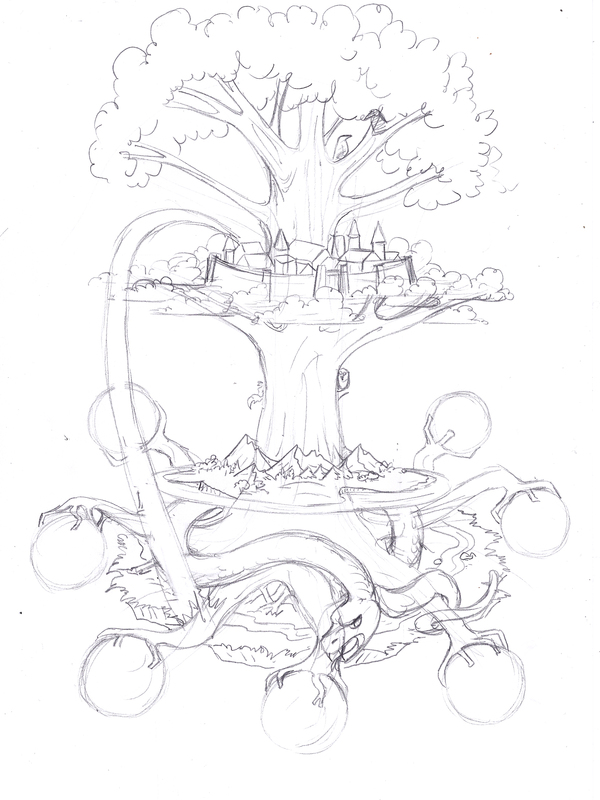 I identified around 20 scenes I wanted ink drawings of, a map and a front cover. Gill starts getting busy with ideas. Gill has had her share of illness this year so she performed wonders completing the images. Editing Once I have the draft at a satisfactory point I send it to my editor Jo Field . Jo and I fling versions of the chapters back and forth, arguing about turns of phrase and so forth. Of course spelling is corrected and grammar errors fixed but editing is much more than that. Jo spots continuity errors, makes suggestions for alternatives in certain scenes and generally improves the book. the editing often takes a couple of months or more. Book cover. 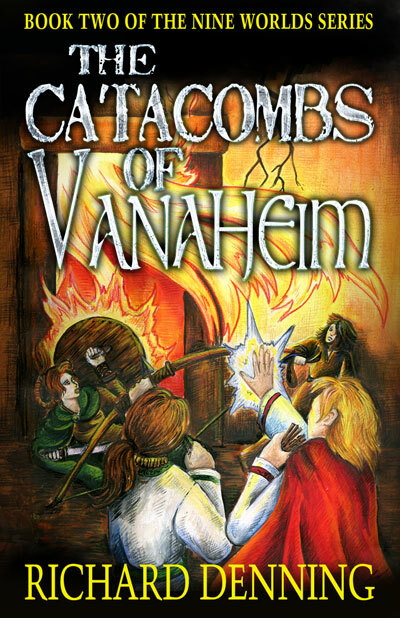 Around the time I send the book for editing I usually engage the services of Cathy Helms of Avalon Graphics. Its Cathy that creates the book cover. In the case of Catacombs that mean taking an image Gill had drawn and painted and using that to make the book cover. We encountered a slight problem here. I had given the go ahead for Gill to paint the cover before Cathy had fed back that she needed a wider image. Poor gill had to stick card to the image and paint a wider area which she did brilliantly. I learned a lesson there to check with the book cover graphics designer that the artwork fits! Lay it all out man! When all is ready I start laying out the book in Indesign (not word which is poor at layout for books). Much time is spent ensuring the look of the book is correct margin sizes, style of chapter headings etc. Then I drop the text in and in the magical way that Indeisgn works the text flows through the book. I drop in the images and tidy it all up and export to pdf. Signing of on the proof. Once the text of the book and the separate cover pdf (from Cathy) is uploaded I wait anxiously for the message that the files are approved. I then get to see a digital proof of the book. Hopefully there are few or no amendments needed and bingo the book is made ready to print! It will take 2 or 3 weeks to show up on Amazon etc as on sale but the same day I order a box load of books and send Cathy, Jo and Gil their own copies. E-books. Of course it does not end there. The book needs e book conversion to not only 1 but three main distributors – Amazon Kindle, Smashwords for Apple, Kobo, Barnes and Noble, Sony etc and finally Google E-books. The whole process took around a year for the 40,000 word novel. I hope that insight is of interest. Now to get on and write another novel! Shield Maiden is the first book in The Nine Worlds series in which the historical world of Anglo-Saxon England meets the mysterious world of myths and legends, gods and monsters our ancestors believed in. Shield Maiden is set in our world in about the year AD 600. These are the years when thousands of Anglo-Saxons are crossing from Germany and Denmark and pushing west, creating a land that will one day be called England. The heroine of Shield Maiden is Anna. Anna’s people are Angles. Tradition says that the Angles who came to Mercia crossed the North Sea in around 527 and so by Anna’s time her people would have lived in Scenestane for over 70 years. Scenestane itself and the surrounding lands are based on the village of Shenstone. Two Roman roads do cross northwest of the village near the village of Wall – itself the ruins of the old Roman town of Letocetum. Now owned and run by the National Trust, it can be visited, as can the museum there (www.nationaltrust.org.uk/letocetum-roman-baths/how-to-get-here). Evidence of several Roman Villas have been found around the village in archaeological digs over the last century. Likewise there was a barrow north of the village, and on the hills to the west, there is an Iron Age hill fort on private land. Shenstone means ‘beautiful stones’ and refers to the Roman ruins that would have been visible when Anna’s ancestors came to the village. The modern day parish church and the ruins of a much older one are on a rocky hill populated with trees. The English often built their churches on former pagan temples so to me it seemed a good place for my pagan temple. The Angles were not Christians. Mercian kings allowed Christian missionaries in from AD 633 onwards but it would take a century for it to all become Christian. So Anna, her ancestors and even her own children (if she lives to have them) would be pagan. Thunor is the thunder god. The Vikings called him Thor and that name is more familiar to us today. Freya is the Goddess of Love and Beauty but also in charge of the Valkyries. Half those who die in battle are sent to her afterlife fields to live with her. Heimdall: Gatekeeper of the gods. Watches the Bifrost – the gateway to Asgard. He has very good eyesight and hearing. It is said that he can hear and see a single blade of grass grow. Woden (Called Odin by the Vikings and Woden in England): Chief of the gods. God of wisdom and thought. He is also a war god. An old man with a long beard. Has only one eye so wears a patch. He can make the dead speak and change men’s fate and destiny – their wyrd. The Anglo-Saxons believed in many different creatures and monsters. They populated their world and haunted their nightmares. 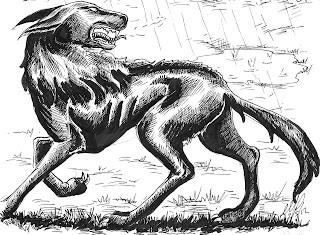 Barghests (sometimes called black dogs) are evil creatures who appear as huge black dogs or hounds, as large as a calf. They can move silently at times. Some can shape-shift and appear as different creatures. These terrifying dogs are often linked to certain roads, gates or locations near water. 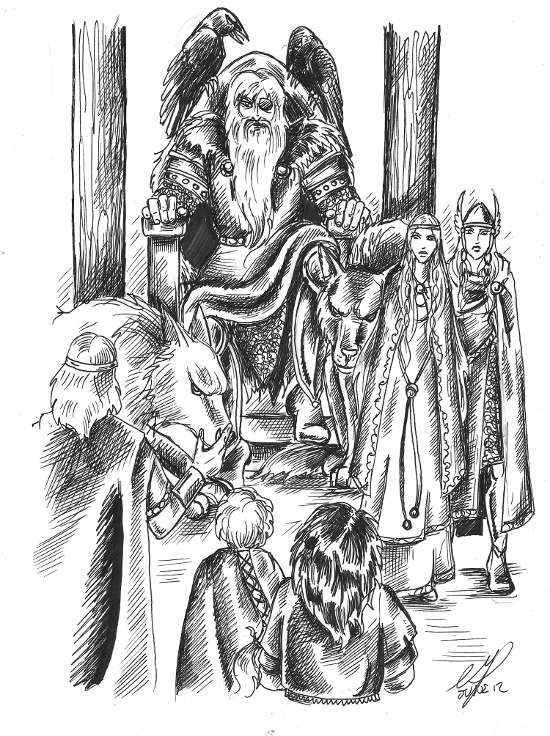 Dweorgar ( or dwarfs)are usually described as ugly, often bad tempered and occasionally evil. Dwarves are talented at making magical items and artefacts. They created many of the powerful artifacts made by the gods such as the Brisingammen of Freya. Svartálfar (dark elves) these are very different from the beautiful light elves that became Tolkien’s elves and which today we might be more famliar. Dark elves are ugly and misshapen but perhaps nearer an evil version of Santa’s elves. They can influence human dreams and give nightmares. They live underground. Possibly sunlight can turn them to stone which is why they avoid it. Ravens : Ravens, although a natural bird have deep symbolism in Saxon Mythology. Firstly Woden (Odin) has two ravens called Huginn and Muninn (thought and memory) who flew across the world and brought news back for the god. Ravens were often seen at battlefields and so became associated with death. Indeed seeing a large black bird became a bad omen suggesting imminent death for someone. Asgard – home of the gods and location of Valhalla where the dead go to feast with Woden. Midgard – Our world, Earth. Home to humans. Vanaheimr – Home to Vanir, gods of magic. Ālfheimr – The world from which the beautiful light elves come. Jotunheimr – Land of mountains and giants. 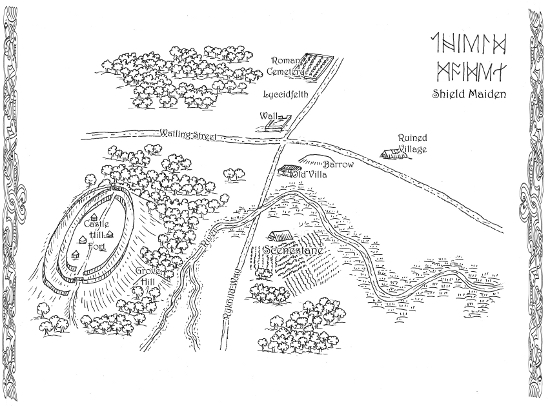 Muspellsheimr – Land of fire and beings of fire. Svartálfaheimr – Land of the svartálfar dark elves. Nidarvelir – Land of the dweorgar or dwarves. Niflheimr – Land of Ice. In addition, near Niflheimr is Hel (spelt with one l)- the realm of the dead. This is the world of Shield Maiden. Anna is a 12 year old girl growing up in a Saxon village in 7th century Mercia. Her life changes when she finds a golden horn in the ruins of a Roman Villa. Soon an ugly dwarf, a beautiful sorceress and even her own people are after her. What powers does the horn have and why does everyone want it? And why is Anna the only one who can get a note out of it? 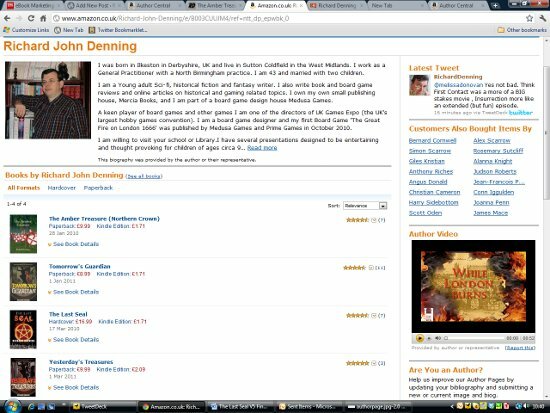 For a self published author of Paperbacks or e-books via Kindle setting up an Amazon Author Page should be part of your overall author platform. It is a focal point where all your books are listed, there is a bio about you, you can link to twitter and other social networks and upload video. 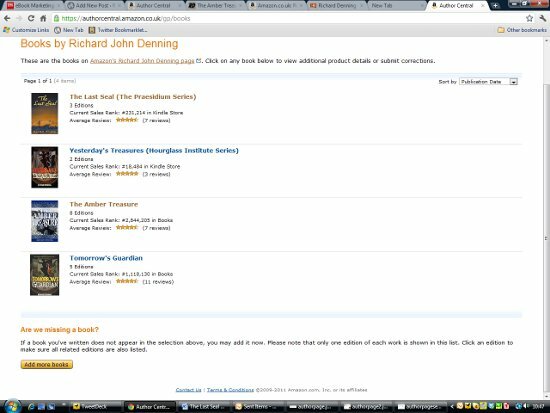 Amazon UK and US have different Author pages BUT there are very similar. 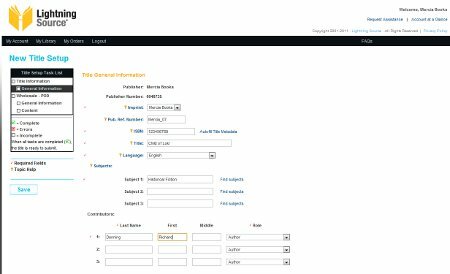 Here you can use your existing Amazon user name and password to login. You can edit your profile. and in the US (but not yet UK) link to your blog so posts appear. That is about it. If you do the same on USA (and I imagine German and French sites although I have not done that yet) you now have a quite details page that means readers can find out more about you. 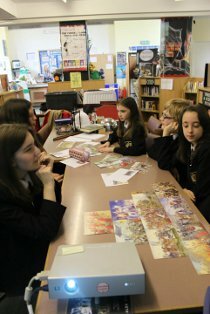 Experiences of organising visits to schools to do author talks. For an author the hardest part of the process of writing and publishing books is promotion and marketing. Getting your book read by people involves getting it IN FRONT of people. The hard grind of achieving that falls to the author not the publisher (and in many cases they are one and the same in any event). One opportunity worth exploring is giving talks at schools. 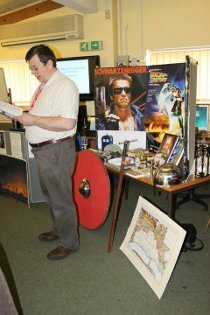 All schools are keen to bring in a variety of visitors to talk about all subjects and topics and therefore an author should think hard about whether they or their books could be of interest to the school. Is the book aimed at or appropriate for Primary or Secondary age children? Is the subject matter one that fits with the schools curriculum? Here in the UK there is a National Curriculum that it is worth checking over to see what is actually taught at schools. Most other countries will have something similar. Are you an expert on your subject matter. The answer may well be yes even if you don’t think it. If you have researched a particular historical period, an area of science or a specific location the chances are that you know a lot about that – a lot more than most others anyway. Are there other aspects of the world of writing planning a book that could be used in a talk? Is there something about publishing that you can talk about. Actually getting a book published -whether mainstream or self published or Print on Demand involves many steps that has given you an experience that most people do not understand and that could be valuable. Sit down and write out the sorts of topics that you could cover. So in my case I write Historical Fiction and also Young Adult Science fiction involving time travel to different periods. This means there are specific historical periods I know a lot about. I have also explored the physics of Time Travel as well as seen an unhealthy number of films and read too many books about it. I have developed my own method of researching, plotting and writing that I can discuss. I am self published so I have experiences of that process and because like all authors I have approached mainstream agents and publishers I know something of the stages of making submissions. Time Travel sound like fun until you try it The fascination of time travel and why it could be more dangerous than you think! A rattle through Time Travel in book and movie, the physics of Time Travel and its dangers. Includes readings from Tomorrow’s Guardian. Ideal for Years 6 to 8. The Great Fire of London 1666 By Permission of Heaven! A talk about The Great Fire of London – its causes, extent and the fallout from it. Includes readings from Tomorrow’s Guardian and/ or The Last Seal and use of video, maps and my Board Game to illustrate. Can be pitched at Primary school or adapted for secondary schools. Introduction to writing Historical Fiction Making the past believable. Looking at writing historical novels. Inspiration for ideas, researching the subject, plots and people, making it vibrant and alive. Where to go next. This is intended for Year 6 Primary school or Secondary schools. The ins and outs of getting published – by a self published author “I would be grateful if you would consider my novel.” So you have written a book – where to go next. Researching the market, spotting the next big thing. Writing a proposal. Agents, publishers, Print on Demand, Small press and self publishing. This is intended for secondary schools and possibly Year 6 primary schools. The Zulu war of 1879 –Great Courage and great fools! About the invasion of Zulu land in 1879 – the mistakes and the amazing heroism on both sides. From those outlines I then planned out each talk which included estimates of timing of each bit. No plan will survive intact on contact with school children but you need A PLAN and then the ability to adapt it. I aimed for talks that would last about 60 to 90 minutes but could be shortened if needed. See more later. The next thing I did was to set up a page about the visits on my website so that the schools could see what was on offer. On this website I lay out my expectations. So I specify the talks that I will do. I say something about age groups and duration. I give some idea about the sorts of activities that would go on. Then I say what I would expect in return. Now this is a delicate matter. At my stage I am very keen to get more readers and so I will go to some lengths to facilitate a visit. 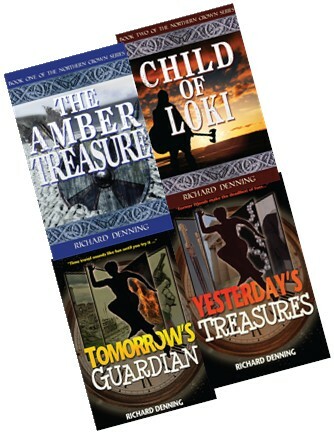 All I ask for is that the school buy 1 copy of each of my 4 titles at Â£6 each – which is not exactly a vast outlay. In the case of primary schools only2 of my titles are really appropriate so I only ask that they obtain those 2. Schools do have a budget for this sort of thing and that kind of outlay is really within their scope. You have to consider whether to charge travel costs. I say on my website that I will charge 25p a mile but will actually wave this if the school is local. I don’t charge any form of appearance fee. My view is that I want to get my books in front of as many people as possible so why put obstacles in the way. Furthermore I am an unknown author beyond a small readership so who would pay me? In person by going in. This is difficult as most schools are not keen on drop in visits but it would be a way of getting material to them. It is easier if you have contacts in the school. By mail – but a physical mail shot to lots of schools will get expensive. Email. School do list contact email addresses and there are sites that list schools in each area and even ones that have lists of contact emails BUT these can be out of date quickly. By word of mouth. Of you get a good visit, ask the school to tell other schools. What environment will you be talking in – the school hall, library or class room etc. Who is the supervising person. You should never be left alone with children. Can you park the car, will they feed you! Attention spans are getting shorter we are told. Therefore it is important to grab the audience’s attention and keep them engaged. As I have progressed through the talks I have done so far I have added in MORE interaction and more times when the children can get up, come forward and do something. I take a lot of props along – such as old uniforms, weapons, armour posters from movies and books. The children should be encouraged to pick them up, talk about them and try clothing on. I incorporateÂ activities. FOR EG I hand out lots of post cards of histocal periods and ask them to choose one to wrire about. When exploring Time Travel I get them to play out some paradoxes and experiments and I am always on the look out for more to add in. I build in video clips from movies and cartoons. I use power point to illustrate talks as well. I take along book marks and postcards and posters and liberally hand these out. I make sure that I do a reading from a book at least once in a talk – even if a brief one. I mention my website and blog and suggest if they want to find out more they go there. I DON’T try and sell the books to the children BUT I of course will do so if they ask. You wont sell many books directly at school most likely BUT you hope that some will be picked up afterwards and if the school can buy a couple then that is a result already. I take a camera and ask one of the children to take some photos. I ask permission IN ADVANCE about this and also ask the school to check permissions for each child’s image to be taken (most schools will get parents to sign these at the start of the year). I email the school within a day or two, thank them for having me, ask for feedback and permission to use images and ideally a quote I can use on the website. I offer to go back if they want another visit. If you are already selling ebooks via Kindle and Smashwords you may be interested that you can sell your e-books via Goodreads. Goodreads has been called ‘Facebook for book readers’. It is a large community of people who read, write and review books. 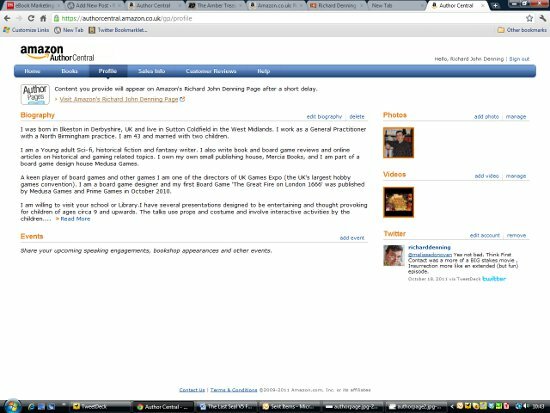 As an author – whether self, indie, Print on demand or Mainstream published you need to be on there and to create a profile. Make sure all your books are listed. When you set up an account you can invite Facebook Friends to join as well. Just like Facebook you can reach out and make new friends. Ther are many groups and forums just like with Facebook so if you are into Sci-Fi for instance you can join any of several dozen groups. You can then ‘join the conversation’ on any topic you wish – generally book related. When reviewers give your book a review many will automaticallypost here but if not you can send them a link to your book’s listing at Goodreads. 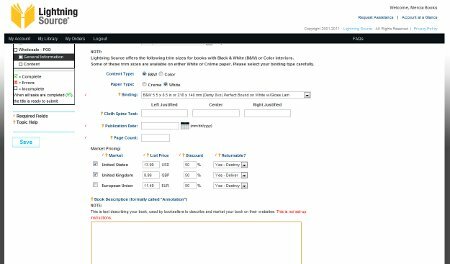 As an author you can apply for Librarian status which means you can edit book listing, add images and other editions etc. You have to agree to be honest and accurate in all you do. Once you have obtained Librarianship you can then upload e-books. Your options are to upload a pdf which can be read FOR FREE by all members or upload a e-Pub file. ePub files need to be created from your original word document. See my post on how to go about doing this. Once you have the file ready go to your dashboard in Goodreads and under each book will be a link to add an ebook. It is then a doodle to work through 2 pages. 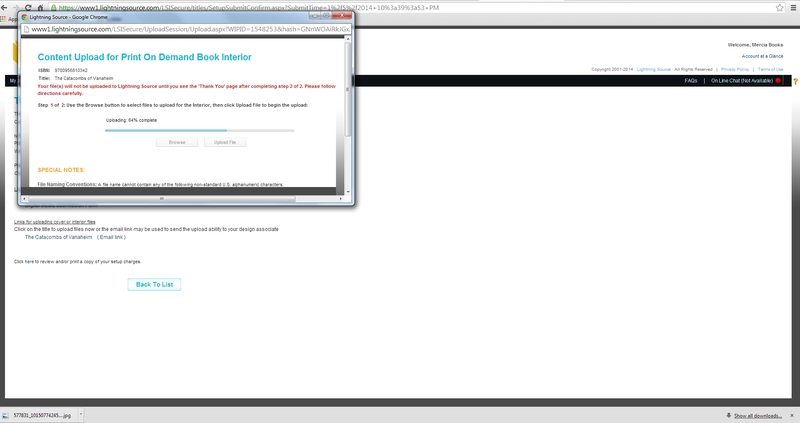 One page asks for the file and is where you set up how much of the book to allow readable for free. Then you can set the price (in $). Payment is by paypal so you need a paypal account. You retain full copyright to the book. That’s it – give it a go. The Anglo Saxon’s used a language called Old English which evolved out of Old German – the language spoken in the homelands in West Germany. Old English was in use between the 5th and 11th centuries when it merged with Norman French and produced middle English – the language of Chaucer. on eorÃ°an swa swa on heofonum. Whilst much of modern English comes from the French brought by the Normans, the majority originated in an older form of English. This then is how our ancestors would have sounded. Much of Old English survives in names for our days and our towns. The Germanic races took the Roman day names that they encountered with dealings with the Roman Empire and translated it into Old German, Old Norse and ultimately Old English. They replaced the Roman gods with there own (with the exception of Saturday). Many elements in our modern English place names ultimately come from Anglo Saxon place names. Often a name would combine a reference to the owner of the land and some description about it. Here are some examples of Old English place names and the modern name and what it means:. The Anglo-Saxon year was originally divided into twelve lunar months (which mean ‘moons’), but this created a problem because a lunar cycle is about 29.5 days. The results was a 354 day year. After only a few years the lunar and solar months would be out of alignment. To get around this issue the Anglo-Saxons would have leap years and would insert an extra month into the summer. THe summer was one long 2 month period called liÃ°a, roughly corresponding to June and July.So the leap years was called ÃriliÃ°i (three liÃ°as). The year began onÂ Modranecht, Mothers’ Night, the 25th of December. This festival was later adopted as the date for Christmas in the typical pragmatic style of the Church. Its possible that Anglo- Saxons honoured female ancestral spirits on this day. December andÂ January were both calledÂ Giuli, or’Yules’. Yule, was the name for the winter solstice period – the shortest days in the year when the anglo Saxons would drive away the drakness by feasting. December was roughly equivalent to Â Ã†rra Geola, or ‘before Yule’, and January wasÂ Ã†fterra Geola, ‘after Yule’. February was known asÂ SolmonaÃ° or ‘Mudmonth’. March wasÂ HreÃ°monaÃ° possibly named after a goddess HreÃ°a of which we know little. April corresponded with the lunar month ofÂ EostermonaÃ° named again after an obscure deity called. This month has survived into modern times as the word Easter which is typically celebrated in March or April. May wasÂ ÃrimilcemonaÃ°, ‘month of three milkings’. “So called because in this month the cattle were milked three times a day,” commented the 7th century historian Bede. As has been saidÂ June was known asÂ Ã†rra LiÃ°a, ‘first’ or ‘preceding’ LiÃ°a andÂ July wasÂ Ã†fterra LiÃ°a, ‘following LiÃ°a’. The word LiÃ°a might mean sailing as this was the time of year when sailing was easiest due to calm weather. So this was the summer sailing season. August was calledÂ WeodmonaÃ°, ‘weed month’ probably because weeds and crops wwere growing fast. September wasÂ HaligmonaÃ°, ‘holy month’. It was a time to give thanks to the gods for the fruits of the summer harvest. Harvest festivals stll survive in many countries into the modern period. October wasÂ WinterfilleÃ° – the begining of winter. November was calledÂ BlotmonaÃ°. This many have been a month of sacrifices BUT more likely it was the time of year when the animals would be saluaghtered and preserved for the coming winter feasts.